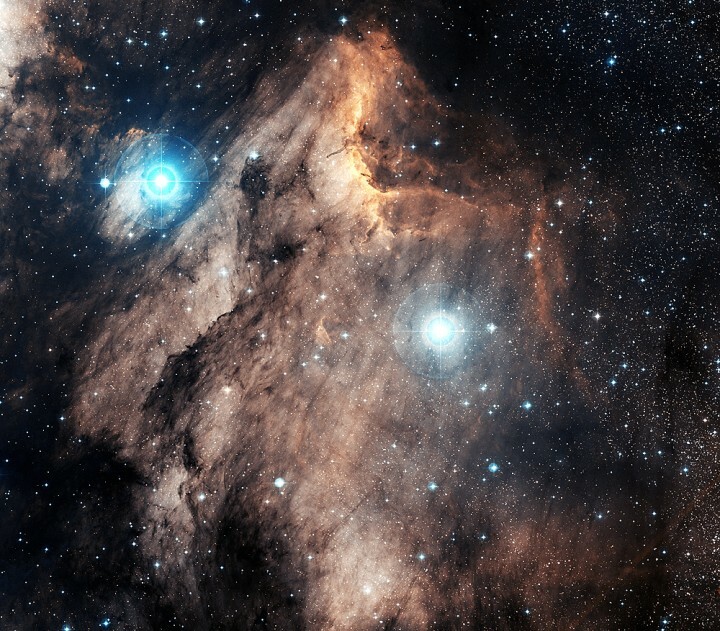 Explanation: The Pelican Nebula lies about 2,000 light-years away in the high flying constellation Cygnus, the Swan. Also known as IC 5070, this cosmic pelican is appropriately found just off the "east coast" of the North America Nebula (NGC 7000), another surprisingly familiar looking emission nebula in Cygnus. 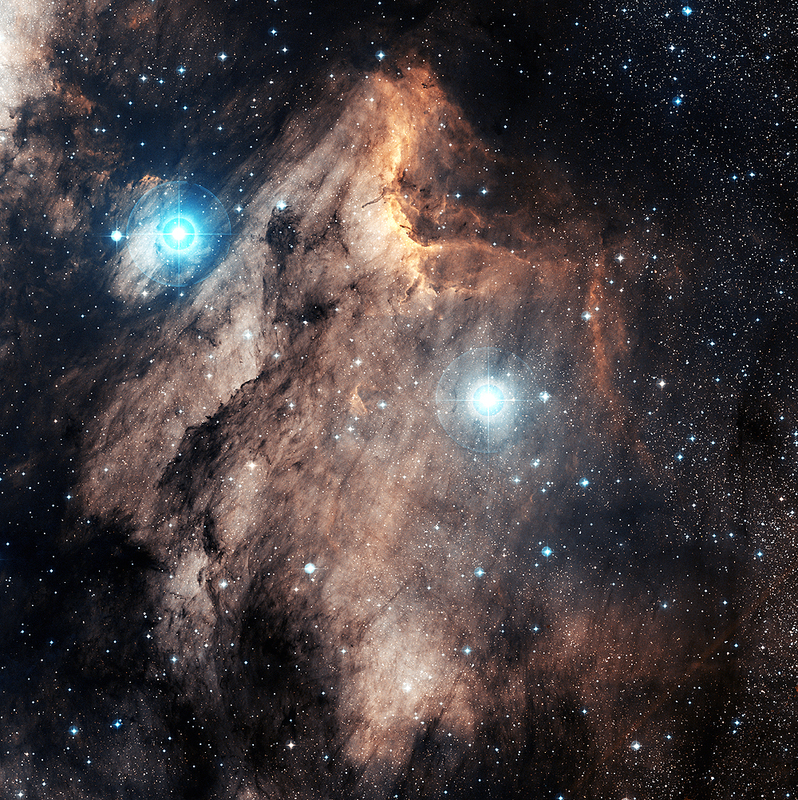 The Pelican and North America nebulae are part of the same large and complex star forming region, almost as nearby as the better-known Orion Nebula. From our vantage point, dark dust clouds (upper left) help define the Pelican's eye and long bill, while a bright front of ionized gas suggests the curved shape of the head and neck. Based on digitized black and white images from the Samuel Oschin Telescope at Palomar Observatory, this striking synthesized color view includes two bright foreground stars and spans about 30 light-years at the estimated distance of the Pelican Nebula.